Officials say Abu Sayyaf helped direct group’s oil, gas and financial arms, was emerging as a leader of military operations. A senior Islamic State leader was killed, and his wife captured, in a raid in eastern Syria by U.S. Special Operations, the first mission in that country targeting wanted ISIS militants, defense officials said early on Saturday. The operation was conducted on the ground in Al-Amr in the eastern region of Syria to capture Abu Sayyaf and his wife, Umm Sayyaf, also thought to be part of the organization, Pentagon officials said. During the mission late Friday, Abu Sayyaf “engaged U.S. forces” and was killed. 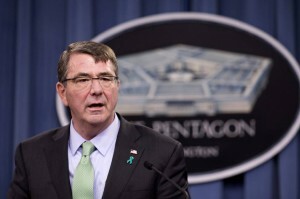 Special Operations forces, however, captured Umm Sayyaf, the Pentagon said. No American forces were injured or killed, the Defense Department said. The mission was a rare example of U.S. forces conducting an operational maneuver on the ground. Last year, Special Operations forces conducted a risky but ultimately unsuccessful attempt to rescue American journalists James Foley and Steven Sotloff and other hostages in eastern Syria. “The operation represents another significant blow to ISIL, and it is a reminder that the United States will never waver in denying safe haven to terrorists who threaten our citizens, and those of our friends and allies,” according to a statement issued by Defense Secretary Ash Carter. Abu Sayyaf was said to have helped direct the terrorist organization’s illicit oil gas and some financial operations that help fund Islamic State’s operations. He was also emerging as a leader of the group’s military operations. Umm Sayyaf was captured during the operation and is now being held by U.S. officials in Iraq. She is thought to have been holding a young Yazidi woman as a slave. The Yazidi woman was freed and will be reunited with her family in coming days, according to U.S. officials.